192.com Blog » Check your date with 192.com! Check your date with 192.com! Posted by henry.phillips on February 9, 2015; This entry is filed under New Products. If you’re one of the many people now looking for love online, you’ll already know that online dating has its pitfalls – sometimes the picture doesn’t quite match the person, or the person who claimed to like foreign films turned out to mean anything with Arnie in it. Of course, you have to chalk those up to experience and try again. However, there is unfortunately a slightly darker side to some of the deception that goes on under the cover of some online dating sites – people who are using them to find targets for financial and other frauds. We’ve all seen the stories in the press of people who were somehow persuaded into parting with their life savings after coming into contact with confidence tricksters. You can – and should – take measures to protect yourself if you are in this sort of situation. 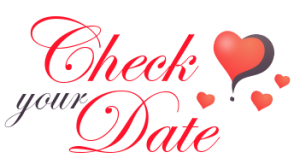 Take a look at our new “Check Your Date” page, which gives some helpful hints. It also has a search form, and if you are getting into something serious, or you are at all worried about someone you’re seeing, you can order a background report about them.